I just love these little tuna and vegetable patties. They are a fast and versatile little meal packed full of nutritional goodness – and a great finger food for toddlers. 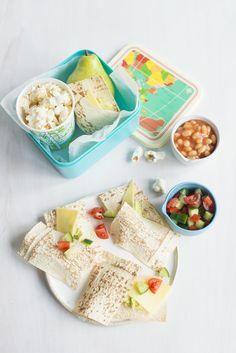 So tasty, you can make them with or without the tuna, melt cheese on top, eat them hot or cold and they are great in lunch boxes as a sandwich alternative. You can make these gluten free if you use gluten free bread crumbs. Harry devours these, so I always have a batch in the freezer. Nutrition Note: Canned tuna and salmon are great pantry staples and are low in mercury, and perfect for making a meal in minutes for your little ones. Steam or boil sweet potato, potato, peas and corn until soft. Use a fork to roughly mash the mixture together. Set aside. Out of curiosity, would there be anything I could substitute for the egg? 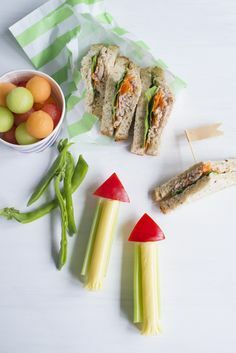 I’d love to make this for my sons Kindy lunchbox but they’re completely egg free. Out of curiosity why do you recommend freezing before frying? Any other reason besides the patties not being crisp and crunchy when eating them? Do you think recipe would work to spray patties with oil and place in oven, instead of frying? Can I just say i mad these today for my 9 month old who is going through a fussy phase with her food. We do mainly baby led weaning and she is a good self-feeder. These tuna patties were not only a hit with her, but they are by far the BEST patties i have EVER had!!!!! I did add a tablespoon of chia and another can of tuna to the pattie mix and used store bought multigrain breadrumbs. 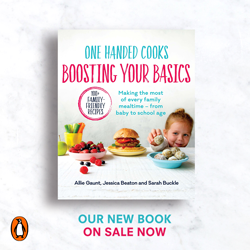 They will be going to the “Go-To Foods When Having a Fussy Phase” list! Thanks so much for this recipe!!!! The list of ingredients mentions Rice Bran oil but then it’s not used in the method. Is this meant to be the olive oil? Just wondering to freeze it,do you crumb it before freezing? Also when take out do you defrost in fridge first? If you freeze the patties, should you defrost them before baking them? I made these today and they were a big hit!! I crumbed them in a mix of almond meal and quinoa flakes to make them completely grain free and it was a big success! 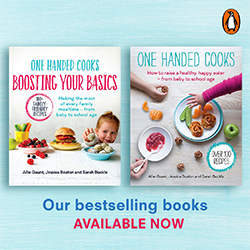 Thankyou for all your healthy and easy recipes. Hi. I want to make these, but need to make them gluten and nut free. can I just use quinoa flakes instead of the bread crumbs? Thanks so much. YUMMO! These sound great! I have “normal” quinoa (not the flakes) – would that work ok or do the flakes soak up some of the moisture? Might also try Kaye’s suggestion of an almond meal/quinoa mix to make them gluten free. Very excited to try these! I made these with salmon from a tin and my 9month old absolutely loves them I’ve gone through the entire batch in the freezer and I really need to make more for him cos I know he loves them. These were delicious, my whole family enjoyed them & I’d make them again. I substituted the white potato for more sweet potato & they turned out fine. Can I just grate the potatoe first and mix in with the tuna mixture instead pre cooking? I don’t see why not, as long as it cooks through properly. Depending on your patty size, you might need some oven time at the end? Made these little patties for the second time on Friday night. The first time, these were not very well received – the kids did not enjoy the texture, and J Daddy thought they were far too bland. This time, I grated the veg before cooking them, and blitzed everything in the food processor for a smoother, fluffier finish. I also added 1 tsp salt, 1/2 tsp minced garlic, 1tbsp chopped parsley and 1tbsp chopped basil into the mix. Result? These were inhaled. I cooked them in 2 batches in the fry pan, and the first batch were gone before I had even flipped the second batch. I had to set some aside from the second batch for my dinner – everyone was shouting “more, more”! Next time, I’ll try cooking them in the oven, so we can all sit down and eat together (and I won’t risk missing out on dinner).